While my team investigated earthquake damage in the State of Puebla, another team was studying damage in the State of Morelos. That team found quite a bit of damage related to weak soils. 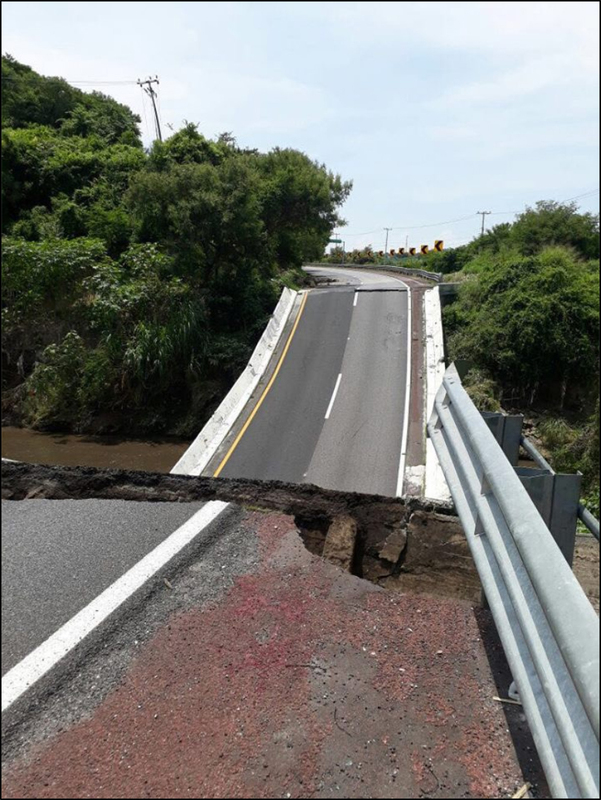 A single span 125 ft long highway bridge on the Mexico City-Acapulco Highway 95D, south of Cuernavaca (and 50 miles south of Mexico City) collapsed during the 9/19/2017 Mexico Earthquake. 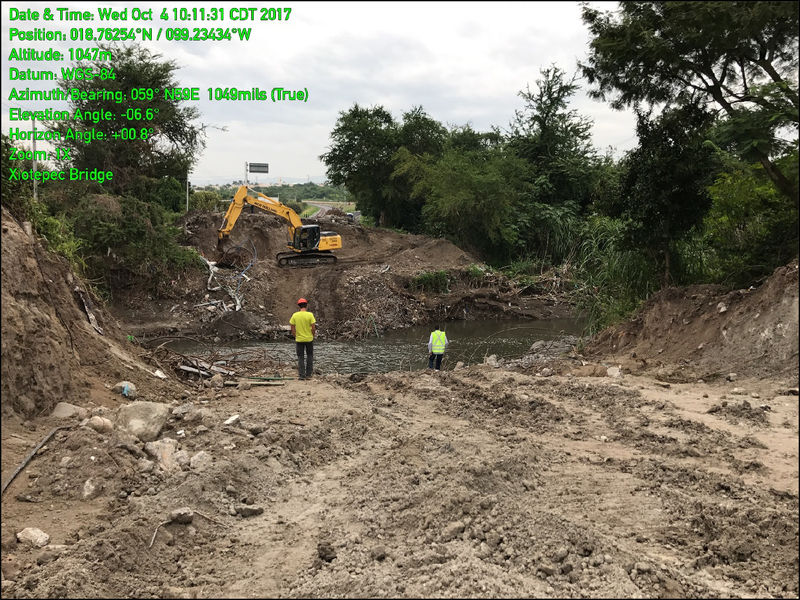 In the photo above, we can see that the span moved away from the south abutment and fell onto the banks of the Rio Apatlaco. By the time the second reconnaissance team got to the site, the bridge had been removed (see photo below) in preparation for building a replacement bridge on the site. Fortunately, there was another bridge less than 200 yards away. 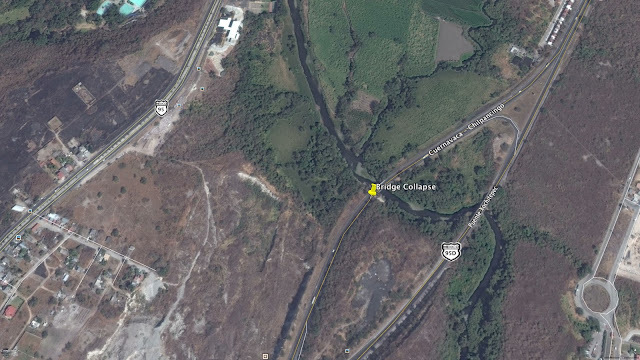 Although Puente Xiotepec collapsed, Puente Xochitepec continued to carry traffic on Highway 95D across the river. Also, Highway 95 (a few hundred yards to the west) remained undamaged (see Google Earth photo below). Recorded ground motion in the area was too low to damage engineered structures but the soil was weaker and could cause damage to structures for peak ground accelerations (pga) as low as 0.10g. (see USGS ShakeMap below). 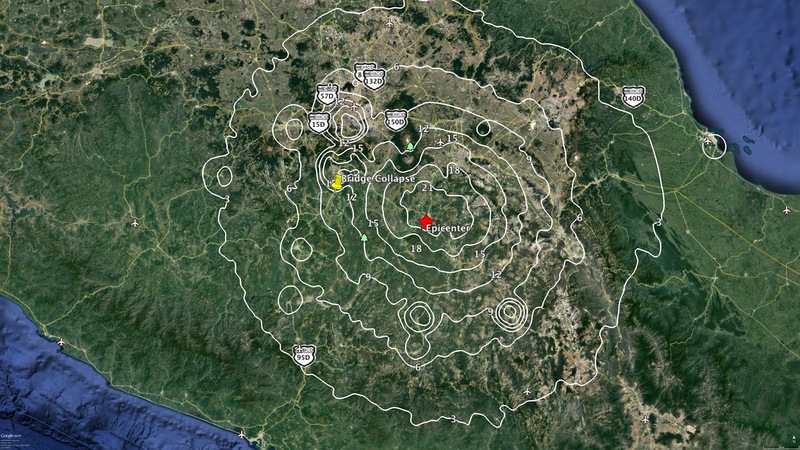 The team that went to Moreles found a lot of soil-related earthquake damage.